Minimally regrettable, actually good nosh that you can get on the other side of midnight. Let's face it: Sydney's late night scene isn't what it once was. But all hope is not lost. 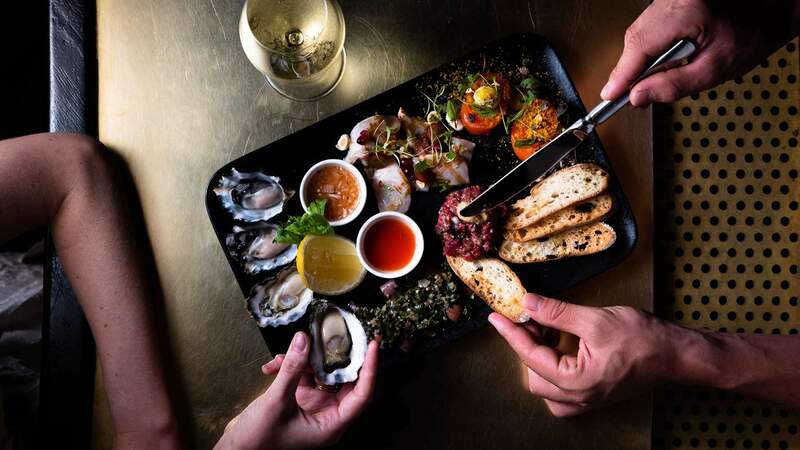 There are still plenty of CBD and inner-city venues staying open well into the wee hours — due to the fact that they serve food. 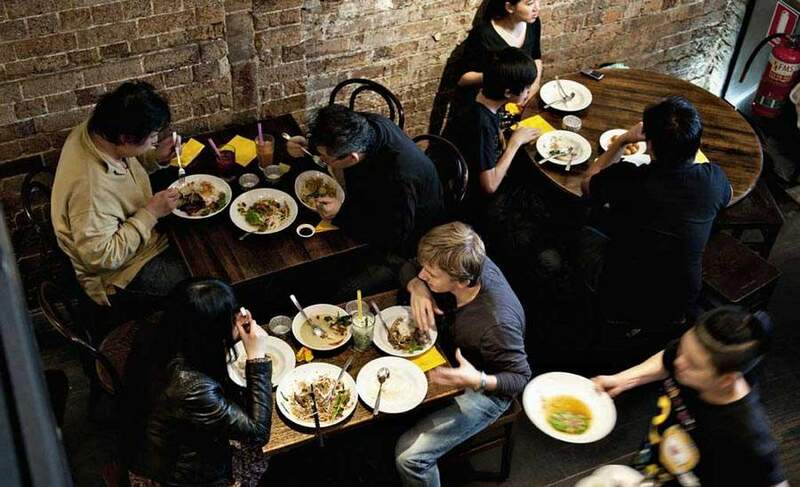 They run the gamut of cuisine and style, from dive bars and fancy French restaurants to Mexican mainstays and Chinese institutions. 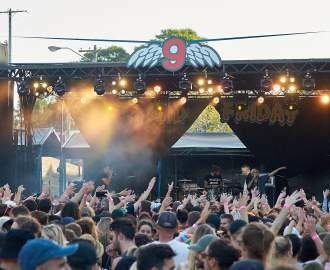 Some are newcomers, helping to reinvigorate the lockout stricken nightlife, and others are old stalwarts that seem to have been around forever. But they all have one thing in common — they're turning out some legit late-night menus. On the prowl for some grub past midnight? Read on, famished friends. 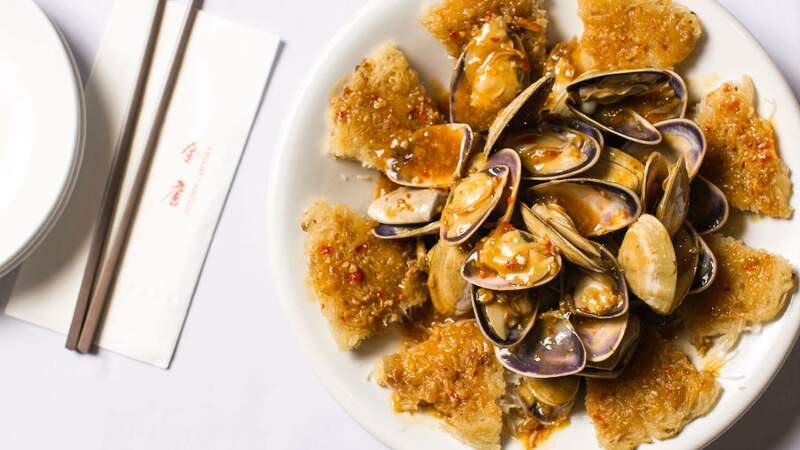 Golden Century Seafood is one of the originators of late-night eats in Sydney, serving up Cantonese classics until 4am, seven nights a week. This is no divey dumpling shop, but is a known favourite among celebrity chefs, including Dan Hong (Ms. G’s Mr. Wong and El Loco) — who swears by the wok fried, garlic buttered snow crab on egg noodles — and Momofuku’s David Chang, who often talks about (and ‘grams) the pipis with XO Sauce over fried vermicelli on his Instagram. If you are there late, take advantage of the congee menu — it’s only available after 10pm and the tasty rice porridge is great for soaking up booze. How late? Open until 4am daily. 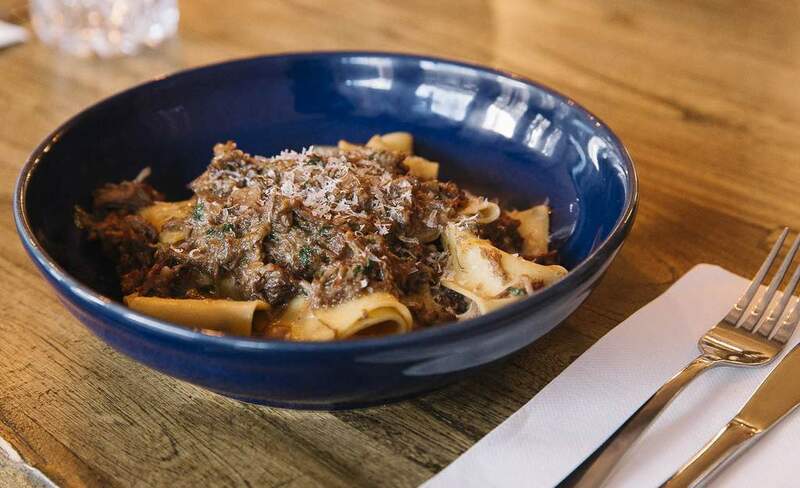 The Sydney CBD has added a highly lauded New York City import into its ranks with Employees Only opening on Barrack Street. 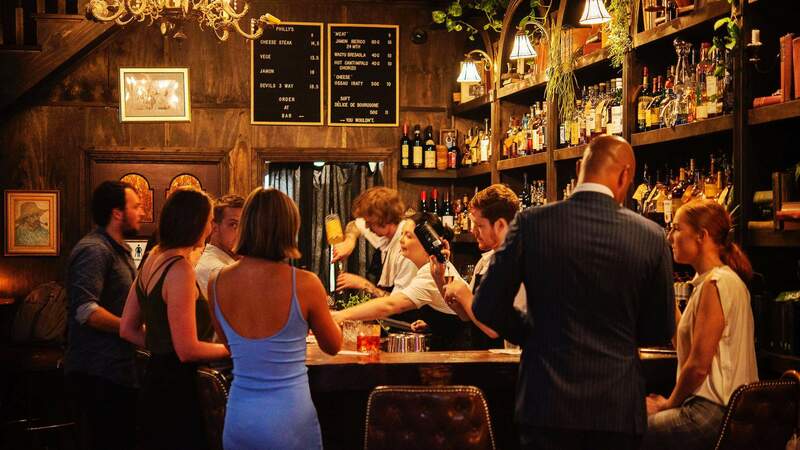 The US venue was an architect of the modern speakeasy movement in New York and now it hopes to make a similar impact on Sydney, bringing its late-night vibes and world-class cocktails Down Under. Follow the neon psychic sign through the curtain and into its heritage-listed basement haunt. Once through the curtains, you’ll see the bar offering both signature EO drinks and Sydney-exclusive drops. Alongside the drinks is an all-night bar menu that is available until 2.30am. Think Berkshire pork cottaletta (Italian schnitzel) with Tuscan cabbage slaw, and a monterey jack cheeseburger with pancetta, jalapeño, bois boudran sauce and relish. On the high-end, there’s a decadent, three-option caviar service, all served with chive crème fraîche, grated egg and buckwheat blinis. If you’re still at the bar when it’s closing — 3am — you’ll be gifted a complimentary bowl of chicken soup, which comes from a 15-year-old family recipe. How late? Open till 2.30am Mondays to Saturdays. Sitting behind a bright red neon sign on Regent Street, Manny’s is a matchstick-sized diner, whose pizza by the slice and juicy philly cheesesteaks are a hit with punters leaving Freda’s and The Lord Gladstone in the wee hours. It’s opens from 6.30am on weekdays, for coffee and B&E rolls, all the way through to 2am on Fridays and Saturdays. So, if you do stumble out of one of the aforementioned establishments after witching hour, you’ll be able to grab a $5 slice of thin-crust New York-style pizza topped with double-smoked leg ham and artichoke, perhaps, or vegan cheese, potato and rosemary. If you’re looking for something on-the-run, it’s able to turn out a cheesesteak in a minute. 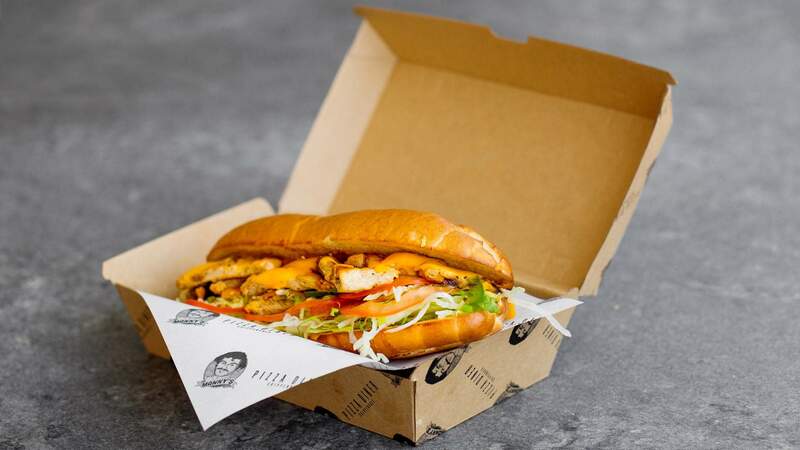 They’re made with custom-made hoagie-like rolls — a cross between baguettes and panini — thinly sliced grass-fed scotch fillet steak, American cheese, lettuce, tomato and mayo. Some are also topped with meatball sauce and provolone, others eggplant and green peppers. How late? Open till 2am on Fridays and Saturdays, 12am on Thursdays and 11pm Sundays through Wednesdays. How late? Open til 2am daily. Spanish tapas culture is reimagined with flavours from all over the Mediterranean at Merivale’s vibrant new culinary offering, Bar Topa. 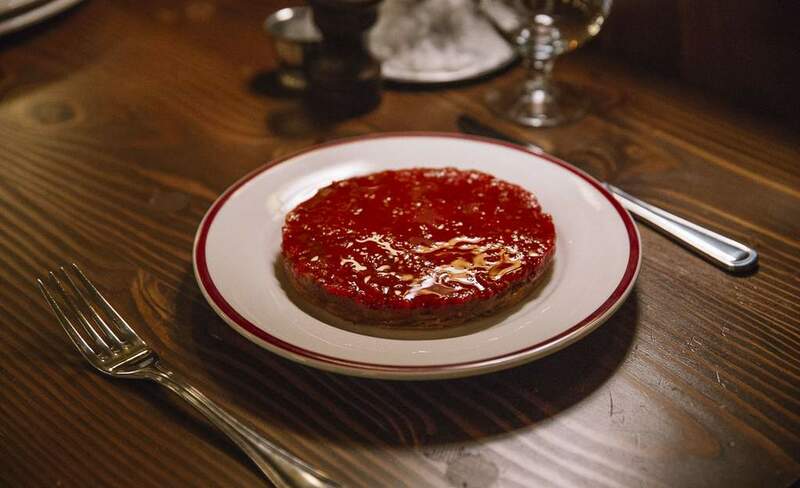 This pint-sized tapas bar has just a handful of seats, with standing room for around 40 diners. Perching with a wine in hand and snacks to share is the way to go here, just like in Spain’s tapas bars. 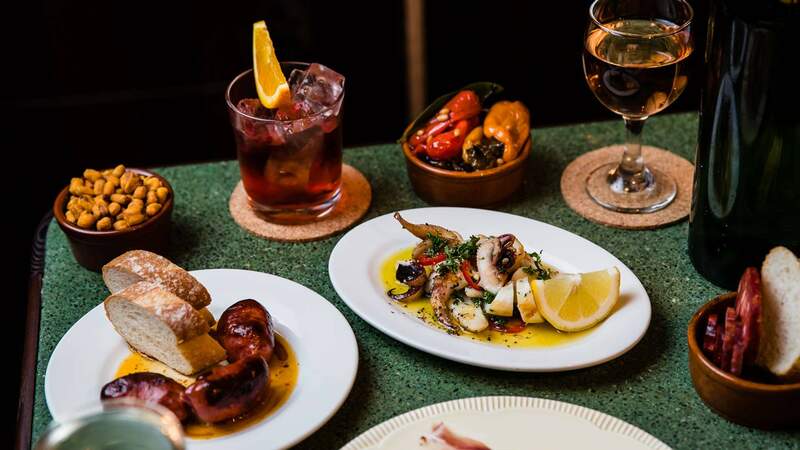 Displayed at the counter, you’ll find small bites like whipped salted cod, or sliced jamón on crisp bread, while the tapas menu features a heftier selection of dishes hot off la plancha — the Spanish-style grill. Expect plates of sautéed chicken livers, cuttlefish cooked with parsley, garlic and olive oil, whole sardines, and of course, that classic patatas bravas. Those wishing to drink can enjoy a range of $8 half-size cocktails includes sips like the Marques — made with Pali Cortado sherry, Campari and sweet vermouth — and the La Perla, blending Altos Reposado tequila and pear liqueur. Otherwise, match those tapas with sangria from the tap, mini $4 beer or a 100-millilitre serve from the short, snappy wine list. How late? Open till 1am Thursdays, Fridays and Saturdays and 12am Mondays, Tuesdays and Wednesdays. Old Town Hong Kong brings the late night culture of the city after which it is named to Sydney. This casual, two-storey spot boasts a fit-out of recycled timber, exposed brick and hanging globes that give off a golden light. The Peking duck ($42.80/78), served with pancakes, shallots and cucumber is particularly tasty, but we suggest looking beyond the regular dumplings and stir-fried noodles, too. You also get the more exotic duck tongue ($13.80), chicken feet ($16.80) and durian desserts ($19). The entire menu is on offer late, with the venue open until 2am seven nights a week. Though a second location has just opened up in Barangaroo, it’s not taking the late-night route of its original counterpart. How late? Open until 2am daily. 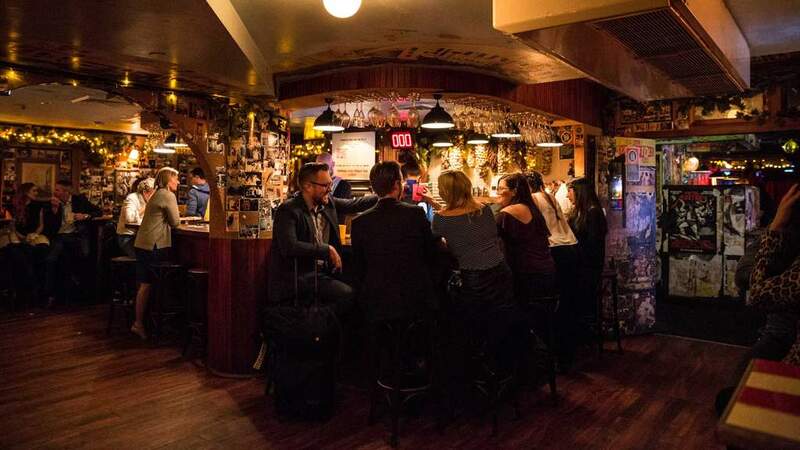 Frankie’s has been a Sydney late-night champion for more years and beers than we can remember. Open until 3am every night of the week, the dive bar is slinging nothing but its classic New York pizza by the slice for six bucks all night. 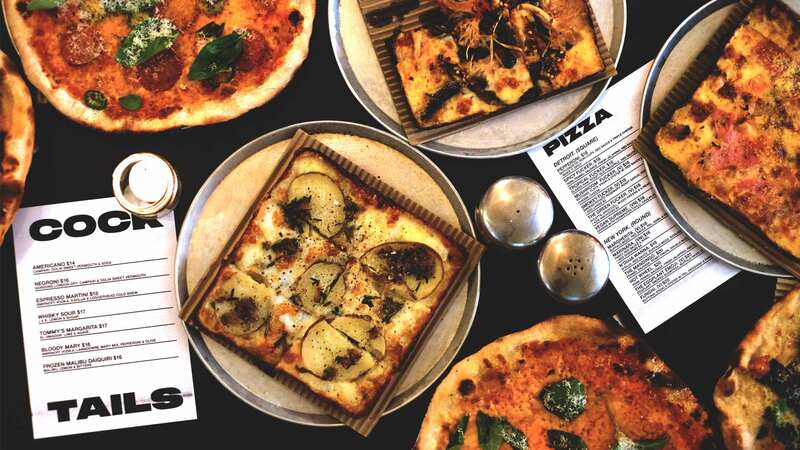 The pizza is among the more legit in Sydney and includes red and white sauce bases — including sausage, mushrooms and truffle oil and pancetta, potato and mozzarella — along with regular specials. 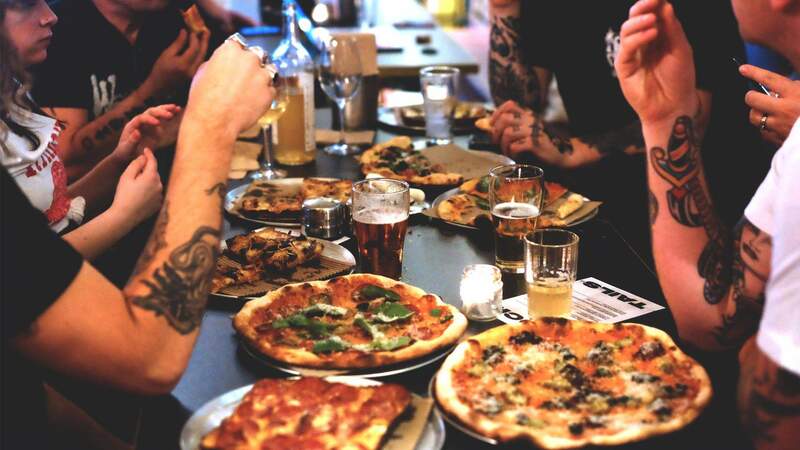 The place is all about late-night debauchery and their regular band and DJ nights keep the partying rocking until the wee hours of the morning when a slice of pizza goes down just right. How late? Open until 3am daily. Restaurant Hubert is one of few fine-dining options available for late night eats in Sydney — and what an option it is. Hubert is from the minds behind drinking dens The Baxter Inn, Frankie’s and Shady Pines Saloon, so you know they’ve got that late crowd in mind, despite the fancy, post-war Parisian decor. The restaurant affords Sydneysiders a rare opportunity to suit up for a post-midnight meal and chef Dan Pepperell (10 William Street) has put together a delectable menu of classic French brasserie dishes, including duck parfait ($22), wagyu tartare ($26) and fried gruyère with dijon mustard and dill pickles ($16). 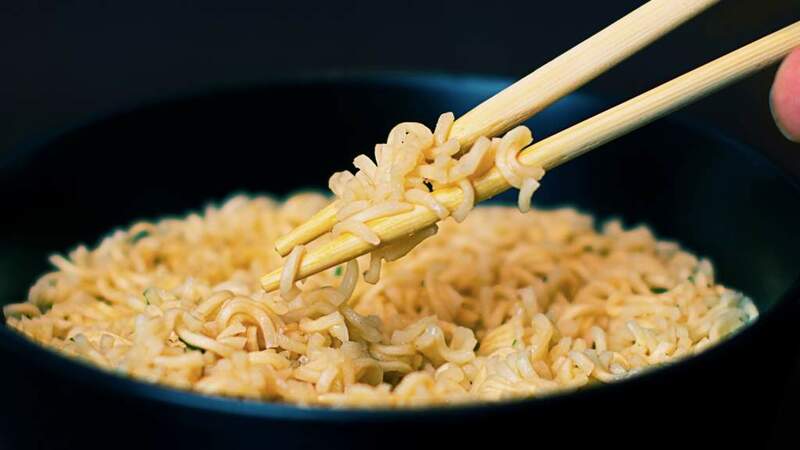 It’s opulent, it’s sophisticated and it’s the fanciest meal you’ll get after midnight. How late? Open until 1am every day except Sundays. 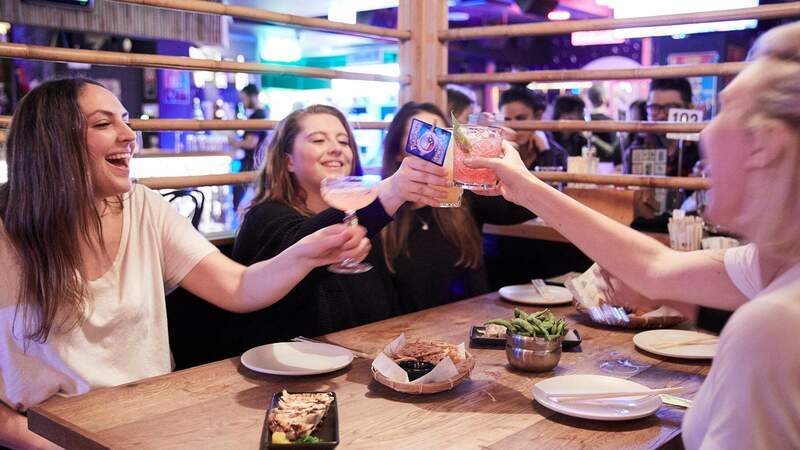 Arisun has long been a late-night favourite for big, rowdy groups sharing their signature beer towers and Korean fried chicken sets. The Seoul-style beer garden offers an extensive menu, but you’d be remiss to overlook the fried favourite, which is really perfected by the house-made sauces on offer — including spicy garlic, shallots and wasabi, sweet, sour and spicy options. Choose from boneless or bone in (all $35) and make sure to keep the beer flowing. 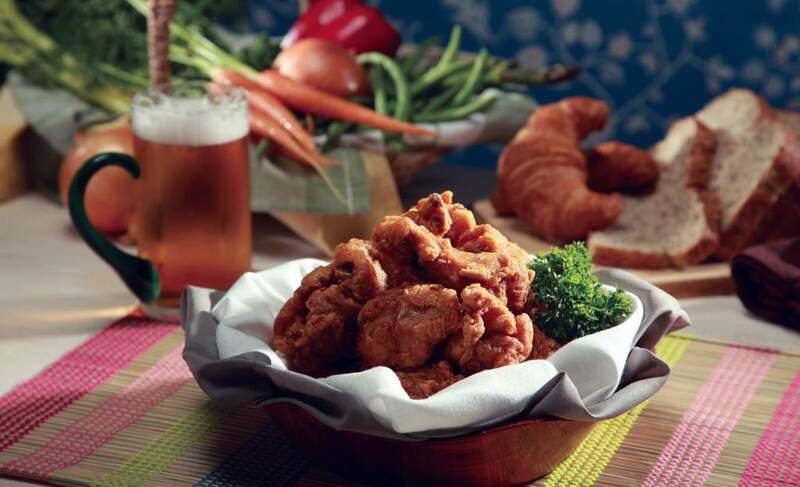 There’s just something special about tucking into a big bowl of fried chicken with a cold beer late at night, and Arisun has perfected this. It also has an outpost in World Square, which is open till 3am Monday to Saturday. How late? Open until 2am on Fridays and Saturdays, and 12.30am from Sundays through Thursdays. 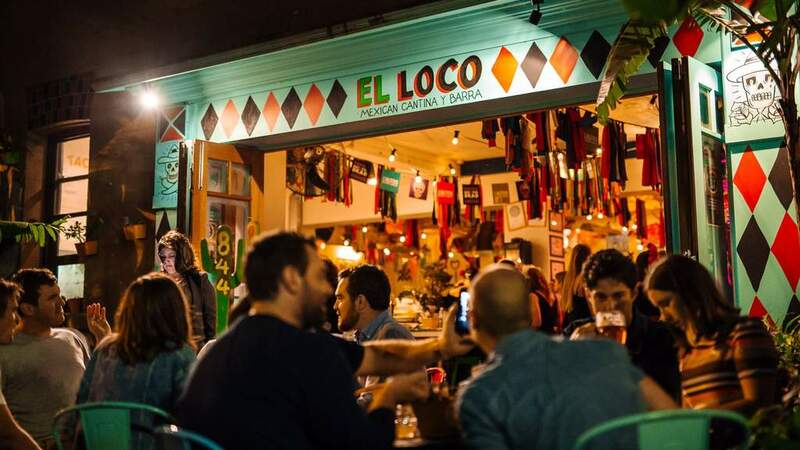 Merivale’s Mexicana pop-up-turned-permanent resident, El Loco may not be turning out the most authentic tacos, but they sure are tasty. Better yet, they’re serving them up until late. When El Loco opened at the Excelsior Hotel back in 2011, they completely revamped the space, pulling out the band room to create brightly coloured, cacti and skulls painted walls and kitschy decor. While daily specials are on offer, the soft shell tacos are the real drawcard — especially the al pastor with pineapple salsa and carne asada with queso fresco ($7 each). Choose any three tacos for $20, so you can mix and match and enjoy with classic beer taps or the extensive tequila offering. How late? Open until midnight on Mondays, Tuesdays, Wednesdays, 1am on Thursdays, and 3am Fridays and Saturdays. Another grand meeting of the minds is Big Poppa’s. A collaboration between late night venue gurus Lewis Jaffrey (Frankie’s, The Baxter Inn and Shady Pines) and Jared Merlino (The Lobo Plantation, Kittyhawk and Caffe Bartolo), the restaurant’s is all about wine, cheese and hip hop. The compact space is dark and moody, giving it a date night vibe — but the whole menu is available until 2.30am if you’re dropping in after drinks. Think burrata with heirloom tomatoes, vino cotto and toasted farrow ($23) to start, along with bigger plates of spaghetti cacio e pepe ($23) and hand-cut pappardelle with lamb shoulder ragu ($28). They’re also offering up late night desserts which is a rarity, like the chocolate fondant with raspberry and habanero icea cream ($15). The downstairs cocktail bar serves cheese and snacks — and with a menu of 23 cheeses and counting, you really can’t go wrong. How late? Open until 2.30am daily. 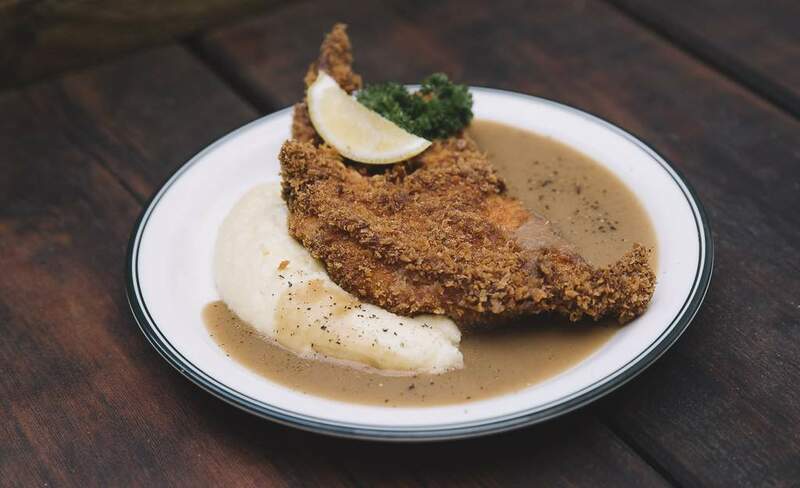 An epic collaboration between Mary’s, Porteno and Young Henrys, The Unicorn Hotel is proudly Aussie as, dishing up pub classics late into the night, including schnitties ($28), ham topped parmies ($29) and meat pies ($10). They’re also boasting Mary’s burgers with crinkle chips ($18), which is ideal late night grub in our opinion. The entire fit-out is Aussified, from the dartboard and pool table (with games just one buck), and even an old piano for Friday night sing-alongs. The pub is lucky enough to be positioned just outside of the lockout zone, so you can get your drink and eats on without being kicked out into the street when the night has just begun. How late? Open until 1am Mondays and Tuesdays, 3am Wednesdays, Thursdays, Fridays and Saturdays, and midnight Sundays. There is no better combination than karaoke, booze and gyoza, and Goros has this trifecta down to a science. Apart from the aforementioned pork, chicken, prawn or mushroom gyoza ($13 for six), the late night menu includes spicy edamame ($6), karaage chicken plate or burger ($18–19), and crinkle-cut fries with Japanese curry ketchup ($7). Sake highballs and large mugs of Sapporo are the drink mainstays here. 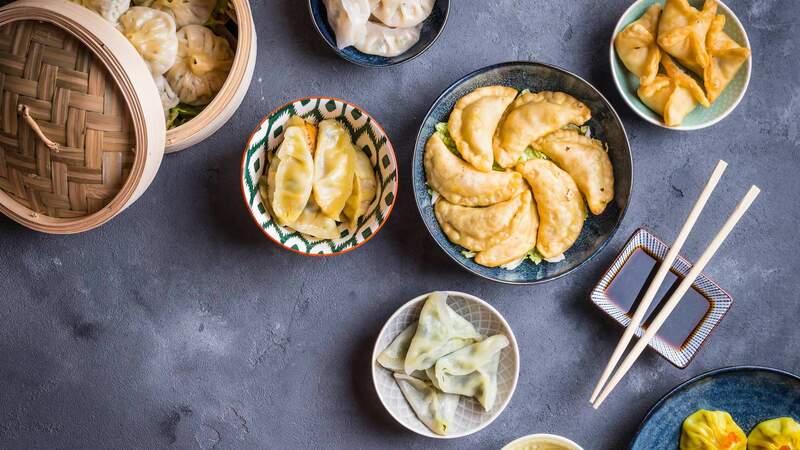 Get stuck in with your favourite tune and tuck into some pillowy dumplings while you’re at it, but expect to wake up with a hangover and a full belly. How late? Open until 1am Thursdays and 3am Fridays and Saturdays. A little tough to find, but well worth the effort, Old Mate’s Place makes for a charming hideaway, pulling inspiration from the diminutive drinking dens you’ll find hidden throughout office blocks in Japan. Inside, the bar’s lower floor calls to mind an old library, complete with stately bookshelves, dapper furnishings and family heirlooms throughout. Foliage creeps in and around the bar like it’s been there forever. A level up, you’ll find the bar’s secluded — and equally as green — rooftop, which is open till 1.30am six days a week. Expect a cocktail list that’s broad and oft-changing, spreading plenty of love across a 300-strong back bar selection. At the moment you’ll find a whisky sour infused with passionfruit, sesame and grapefruit, and a refreshing watermelon, sake, sherry, gin and citrus concoction (called the Melody) that comes topped with a palm tree made with the skin of the melon. To match, the kitchen’s currently pumping out four variations of a Philly cheesesteak, a caesar salad take on a san choy bow and a few meats and cheeses. How late? Open till 1.30am Tuesdays through Sundays. This venue-within-a-venue, by the team behind famed Newtown burger joint Mary’s, is located inside The Lansdowne Hotel. It’s an intimate 12-seat dining space, with room for a few extra perched by the kitchen, dishing up the sort of pizza that’s destined to become your latest and greatest guilty pleasure. Matched, of course, with some natural wines or local craft brews. Here, the Mary’s guys, along with Executive Chef Jimmy Garside, are riffing off their two favourite pizza styles: the New York slice and Detroit’s square pizzas. They’re rocking cheesy crusts and cheeky names, crafted with top-notch Aussie and Italian ingredients on 72-hour fermented dough. Expect the likes of the Hot Hot Heat, with ‘nduja, buffalo mozzarella and Sicilian olives, or the square-style Smokey F***er, loaded with rosemary, smoked potato, roast garlic and a whole lotta cheese. How late? Open till 2am on Fridays and Saturdays, 12am on Sundays and 11pm from Mondays through Thursdays. This unassuming Thai restaurant in Capitol Square goes off on weekends, with Thai bands rocking it loud and late into the night and large groups of friends sharing the signature bottles of whiskey and mixes at nearly every table. The place gets absolutely packed out, but if you’re lucky enough to nab a table, you’re in for a real treat. They’re serving up some legit Thai food alongside the drinks, including the requisite tom yum, array of rice dishes, curries and noodles, along with an impossibly spicy whole fish with chilli and ginger. When combined, this atmosphere somehow manages to transport you from a dingy shopping mall to the raucous streets of Bangkok. How late? Open until 2am Mondays, Tuesdays, Wednesdays and Thursdays, 4am Fridays and Saturdays, and 3am Sundays.